Student-Run Credit Unions in the North! 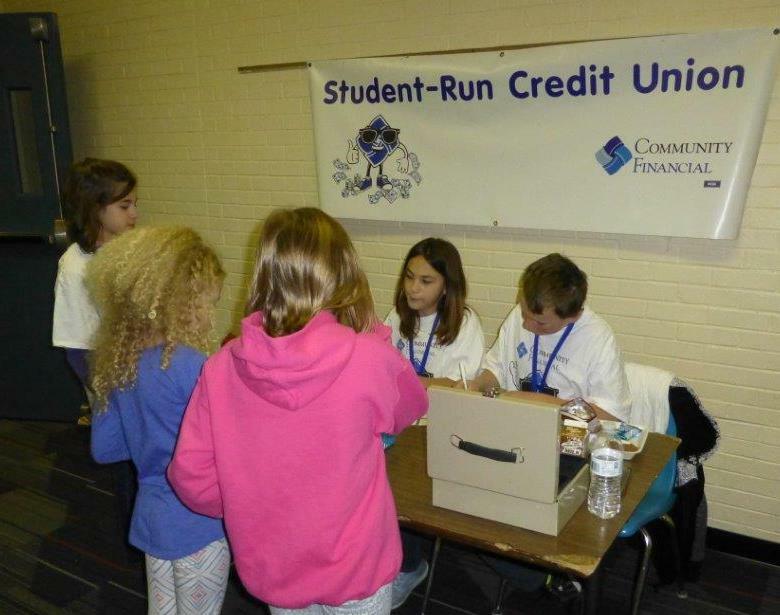 Community Financial has school partnerships in five schools near our northern branches. 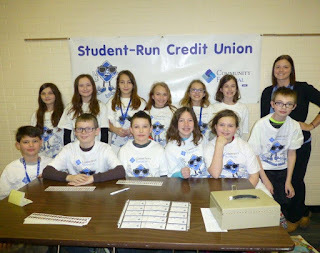 Students in Gaylord Intermediate, Lewiston Elementary, Atlanta, Gaylord St. Mary’s, and Hillman Intermediate schools participate in our Student-Run Credit Union program. Our Education Partnership Coordinator, Angela Corbin, works with schools in these areas to help educate the youth in northern Michigan. 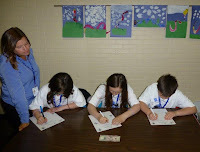 Here are some pictures of Angela with her student volunteers at Lewiston Elementary School! 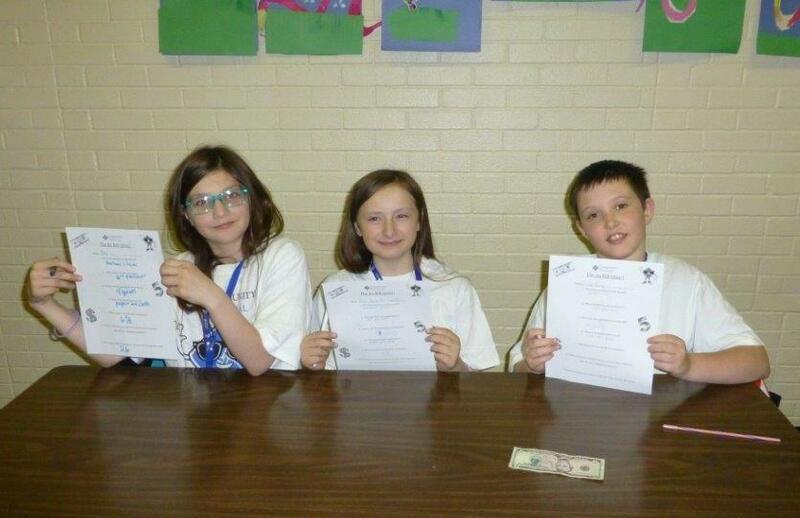 posing with her Lewiston Elementary Spring Volunteers. Students involved in our Student-Run Credit Unions learn important money management and work-readiness skills, but they also have fun too! 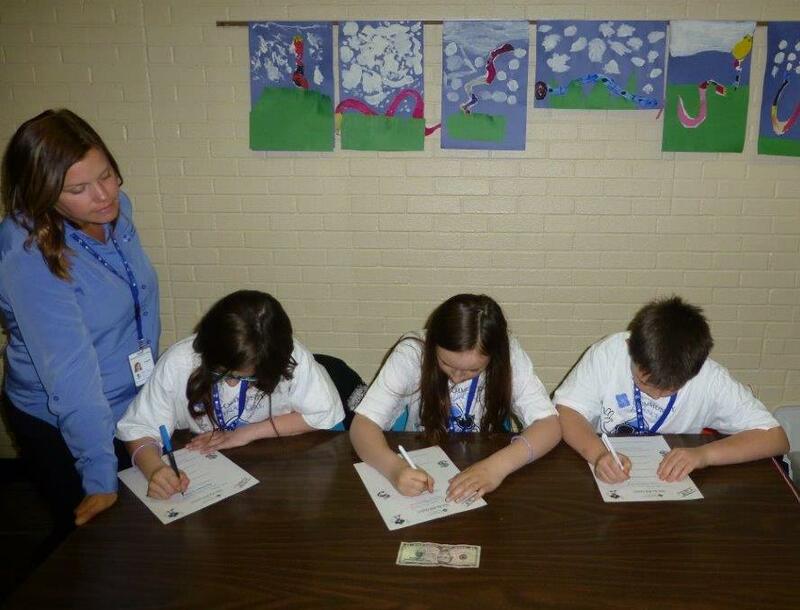 Angela recently “quizzed” her students on certain fun facts about the $5 bill during one of her school credit unions. Take the quiz below to see how YOU do! 1. Who is the president on the $5 bill? 2. What number was his presidency? 3. What is the life expectancy of the $5 bill? 4. What is the $5 bill made out of? 5. What percent is the $5 bill in circulation? 6. What words are micro-printed on the top of the Great Seal (get out your magnifying glasses!)? 7. How many states are written on the top of the Lincoln Memorial? 8. Two states are named differently, which are they? 10. What is the eagle holding on the front of the $5 bill? Your Turn: How did you do? Check out the answers below and tell us your score!